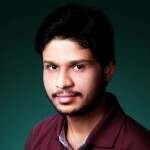 Read this post to know how to eradicate chest acne. Chest acne is one of the less common forms, but if you do suffer with it, then you understand how much trouble it can cause. Many people think that just because it isn’t prominent on your face, that you can just cover it up. But chest acne is still a very disruptive skin condition. 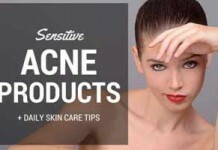 When you do suffer outbreaks it can become very sore as your clothes rub against pimples and the overly sensitive skin. And then there is still the problem of feeling embarrassed when you suffer an episode in the middle of summer on a vacation trip. Covering up in hot weather is really not an option and do you really want it to ruin your outdoor life or vacation? To help you better understand how to best deal with the problem, we have put together this extensive guide. 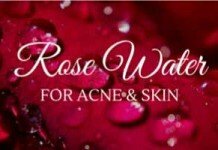 First of all it’s important to understand the unique causes, so that you can make lifestyle and cleansing routine changes. These practical tips alone will help you prevent it from happening. 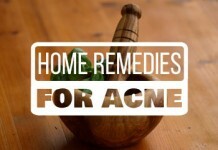 But we also bring you some excellent recommendations for dealing with the pimples themselves. As a result you’ll reduce the risk of an outbreak, and be able to deal with them more effectively. Prior to taking measures for treating it, it’s important to understand what the main triggers are behind the occurrence of acne on your chest, so that you’ll be able to treat it more effectively. 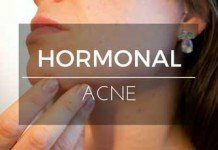 Just like the face your or any other area of your body, acne on your chest is also formed because of unbalanced hormone levels, excess of oil (sebum), and clogged skin pores. But your clothing in particular, and some of your daily routines (we’ll discuss later in this post) are the factors that make it a bit different from the rest. The reason why your chest is prone to acne is the abundance of sebaceous glands in this area. To prevent large breakouts, you must keep excess oil off your chest. Furthermore, adult men usually have hair on their chest and women wear tightly fitted undergarments over it – these things become an additional trigger for acne on this area of your body. 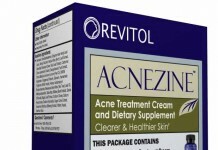 The following are the four essential steps you should take to treat acne on your chest. Avoid the use of tight clothes on your chest or at least shorten their use. Tightly fitted clothes rub over your affected areas and cause irritation. 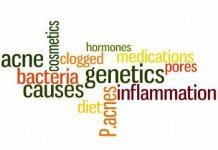 They spread the bacteria to other parts of your body, which eventually aggravates acne. Avoid wearing synthetic fabrics as much as you possibly can. The main downside of the fabrics like polyster, rayon, or nylon is that they don’t allow your skin to breath (an important factor for skin health). They retain heat and agitate your skin. And all this, when combined, creates a potentially vulnerable environment for your skin. Now what should I wear if l remove all these fabrics? You might wonder. Well, nothing fancy… Prefer pure cotton, wool, or even fabrics made up of bamboo viscose. They not only allow your skin to breath, but they’re also a lot less irritating than synthetic fabrics. It doesn’t mean that you should throw out all your clothes that you bought previously, but it’s good to be selective in buying new clothes from now. You should take a bath after finishing a workout, exercise, or playing an outdoor game. The intense perspiration you experience from these activities can lead toward pore clogging, if not promptly taken under control. When taking every day bath, use soaps and washes that are proven to be effective in getting rid of acne. 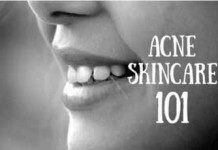 Preferably, you should use the ones containing salicylic acid (if you’re not allergic to it) and azulene. 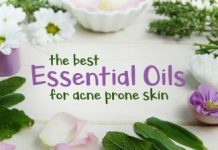 For your convenience, here is a list of the most worthwhile, highly rated soaps and washes that have the true potential to help in fading away acne from your chest. 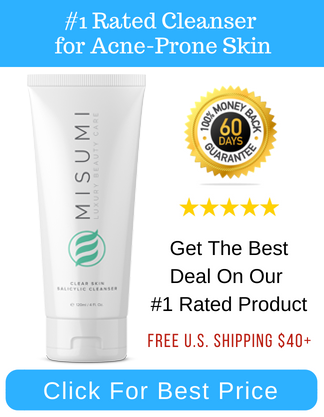 Misumi is a dark horse in the acne industry. The company is quickly gathering a group of faithful fans and followers. We checked out the brand that customers have been raving about and are pleasantly surprised to witness the quality and effectively of their range of products. In particular, their Blemish Clear Body Wash is a favorite, especially among athletes and individuals with an active schedule. The formula combines Glycolic Acid, Lactic Acid, and Salicylic Acid for a complete and wholesome exfoliating experience. The body wash is sure to slough off any sweat, dirt, excess oil, or impurities that will clog up your pores. Our team has witnessed incredibly and long-lasting results from this body wash. It specifically targets chest, neck, back and arm areas. Definitely tops our list and beats out tough competitors in the industry. We highly recommend. And if it doesn’t work for you, just return it and get a full refund. Their company has a 60 day money back guarantee. 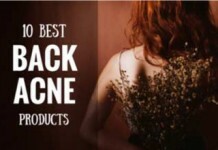 This is another great way to get rid of chest acne, right in the convenience of your home. This is done by making a paste of buttermilk and sour cream and then applying it to your skin. But prior to applying this paste, it’s better to take a salt soak bath to dry the excess sebum in your sebaceous glands, because this remedy becomes even more effective in this way. Take a large bowl and fill it with 1 liter water, and then add 1 cup of sea salt in it. Dip a dry and clean wash cloth into it, squeeze it a bit (not much), and then wash your affected areas with it. Leave your chest for about 2-3 minutes and allow it to dry. Again, dip the washcloth in the water, squeeze it, and wash your chest, and leave it for 2-3 minutes. Repeat this process until you completely finish the salt water in your bowl. Mix 2 tablespoons of buttermilk and 1 cup of sour cream in a small container. Stir them vigorously until a paste has been formed. Apply this paste over your affected areas and leave it for about 20 minutes. Rinse your chest afterward or take a bath. For the skin particularly, exfoliation means removing a layer of skin from the epidermis that contains excess amount dead skin cells, oil, and dirt. 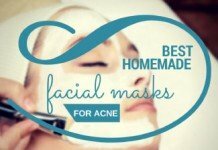 By doing this, you can effectively reduce the chances of acne appearing on your chest. There are many ways for doing this. You would need a scrub, homemade or purchased, preferably this one from Neutrogena, and then apply it on your affected areas and then rinse it off with the help of loofah. But make sure to NOT scrub your chest too hard, just be GENTLE because it can result in irritation or even more breakouts. This last tip comes all over from Cosmopolitan. I found it so exciting that I though it would be unfair not to share it with my readers here. Crush two aspirin tablets (which have acetyl salicylic acid to dry out the pimple and eliminate inflammation), and mix with a drop of water and a drop of honey to create a paste. Apply to the spot, and leave on for 10 minutes. Rinse with cool water. 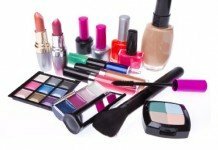 If you need extra coverage, use an oil-free concealer or powder. 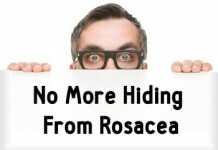 We finally reach the end of this detailed discussion on getting rid of chest acne. 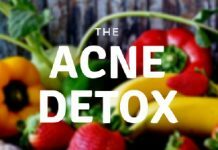 You realized how chest acne ruthlessly destroys your complexion, and why only willing to get rid of it will not do the job, and what to do instead. 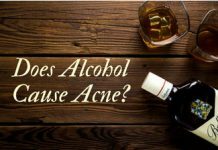 You’ve leaned how tweaks in your everyday routine, like your clothes and ablutions, can play an important role in controlling acne on your chest. 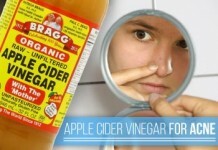 We also discovered some other simple but effective remedies to eliminate it. 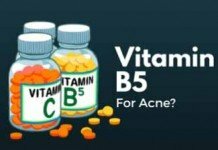 However, if acne on your chest is severe, and if cysts or nodules are found on your chest in abundance, then these remedies might not turn out to be as effective as they are for people having mild acne. And I highly recommend seeing a Derm if that’s your case. But again, there’s nothing wrong with trying out these remedies to see if they work for you. You’re never sure of what suits your skin — it’s just the matter of trying things out. 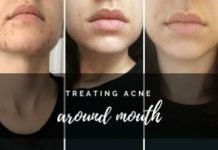 How do you plan to get rid of your chest acne? Any treatment or home remedy you want to recommend for doing this?